Pima County Sheriff's deputies and a Vail School District bus driver demonstrate when and where to stop when a school bus has a stop sign out. 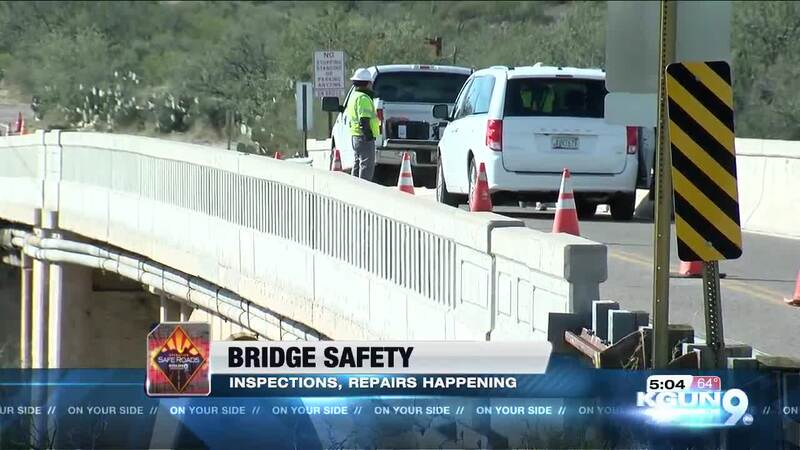 VAIL, Ariz. -- In November, five children were killed in school bus-related crashes in the U.S. And just Wednesday morning, a new report ranked Arizona near the bottom when it comes to school zone safety, with Pima County the second worst county in the state. That's why a lot of school districts are focusing on pedestrian safety and distracted driving. 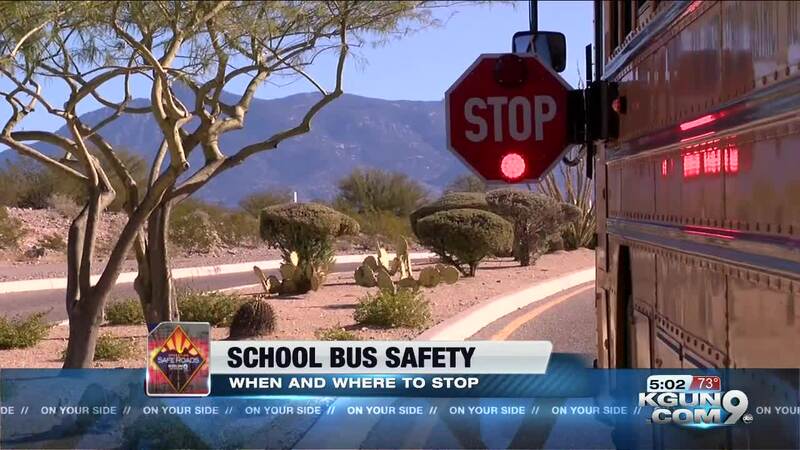 KGUN 9 went with a Pima County Sheriff's Deputy and a Vail Unified School District bus driver to learn more about what to do, and what not to do when you see a stopped school bus. When you see a school bus with a stop sign out, that means you need to stop driving. Shelley Nickson is a school bus driver for the Vail school district. But more often than not, Shelley Nickson says she sees drivers breaking that rule. "Nobody likes to be behind a school bus, so they actually... sometimes they've driven on the right hand side to pass, as well as oncoming lanes on the left-hand side," Nickson explains. Nickson and the Ryan Roher, a Pima County Sheriff's Deputy, demonstrated some common mistakes they see, every day, when it comes to drivers stopping for school buses. They say failing to stop creates potentially dangerous situations for children on the bus, the driver, and other people on the road. A school bus is stopped in a residential neighborhood picking up, or dropping off kids. The flashing, red stop sign is our to alert drivers to stop. 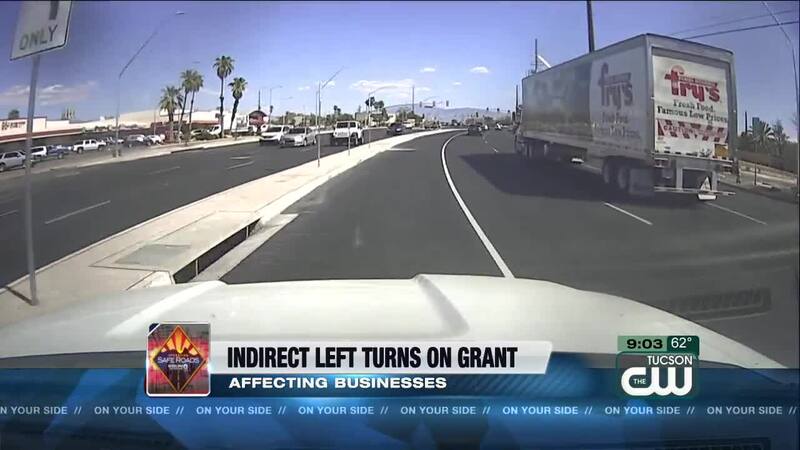 But instead of stopping, a driver uses the other side of the road to go around the bus. Nickson and Deputy Roher say this is one example of a common mistake. It's a move that can cost you $400 - $500 in fines. Deputy Roher says PCSD wants to remind the public to stop for school buses. However, there are some exceptions. In areas where there is a raised median, drivers in the opposite direction, can continue driving. But drivers behind the bus, traveling in the same direction, still must stop. And if there are multiple lanes with no median, you must stop. So the next time you see a school bus on the road, look for the stop sign. Nickson says, "slow down, take your time, be safe. This is your neighborhood. These are your children."